The particularly inclement weather of the last two months has led to many flocks being housed earlier than normal. 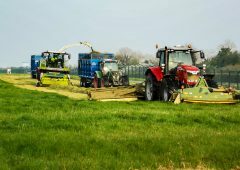 A number of queries are coming in to our office [Teagasc] from farmers who are converting existing buildings to accommodate sheep or planning to construct brand new sheep housing facilities. The latter is eligible for grant aid under TAMS 2 – 60% aid for the young trained farmer and 40% for all other applicants. The optimum internal layout in a sheep house will ensure that one person can feed concentrates to all ewes without entering the pen. Always ensure sufficient trough space so that all ewes have room to eat meal at one time – for larger breeds up to 500 – 600mm per head is required, with the medium sized ewe requiring a little less. The floor space required per ewe is 1.2 or 1.3 square metres in a straw bedded house. Winter shearing enables approximately 15% more ewes to be housed in a given area. 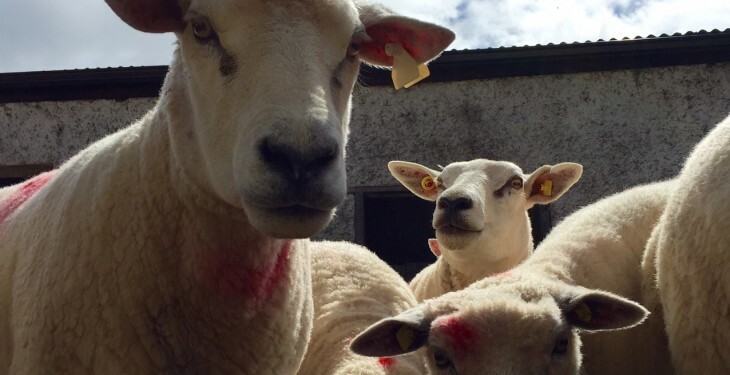 Studies carried out by Dr. Tim Keady at Teagasc, Athenry have shown the other benefits of winter shearing – increased lamb birth weight and subsequent weaning weight along with reducing lamb age at slaughter by approximately two weeks. 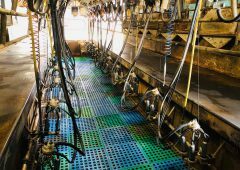 As with all animal housing adequate ventilation will help keep fresh air in the shed and remove many airborne pathogens and other harmful bacteria. In a well-ventilated animal house the heat produced by the livestock rises and exits via the roof outlet. This is then displaced by fresh air coming in from the sides of the building. Where ventilation may be compromised it is important to carry out the necessary modifications to correct the problem. Never house ewes with wet fleeces – wet fleeces give rise to high humidity in the shed that can lead to respiratory problems. It takes a week for a wet fleece to dry out in the shed. Ensure that a constant fresh supply of clean water is available – housed ewes on dry feed can consume as much as 6L of water per head per day in late pregnancy and even more after lambing. If water supply to the ewe is limited it can seriously suppress her appetite. At housing time lameness has the potential to spread rapidly due to high stocking density. Check all ewes before housing and avoid housing lame ewes until they have been treated and cured. All ewes should be foot bathed at housing and routine foot-bathing should continue on a regular basis during the housing period. Keep a good bed of straw under sheep as moist underfoot conditions are conducive to lameness. The dusting of hydrated lime, particularly along where sheep stand to feed, has been shown to help reduce the spread of lameness indoors. This should be carried out twice weekly before fresh bedding is added. The scanning of March lambing ewes is now nearing completion. The scan results should be used to group ewes according to litter size when starting to feed concentrates. 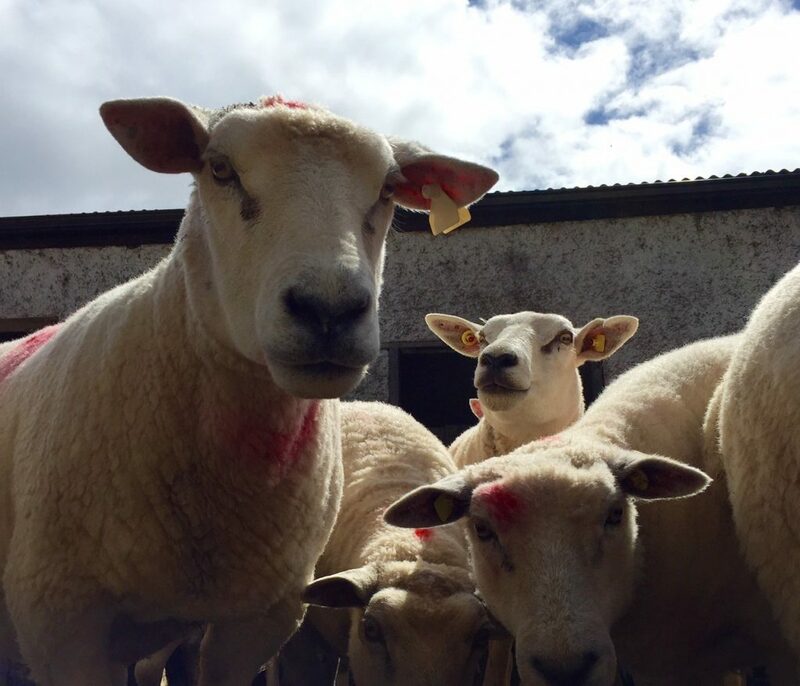 Also assess body condition at this stage – where twin bearing ewes for example are in poor body condition it would be appropriate to feed them similar concentrate levels to the triplet bearing ewes. On some farms ewes are housed nearer to lambing mainly for observation and convenience. A word of caution on housing too close to lambing is that ewes may not eat properly for a few days after housing and this increases the risk of twin lamb disease. Keep a careful watch that all ewes are eating and if not separate shy feeders for a few days.